Wishing you all a very Merry Christmas. Hope you are celebrating with your family and friends. We ended up leaving town pretty last minute on Wednesday and I did not pack my white peplum or top/skirt. We are in VA at the moment and it was a lot more practical to wear something warm and comfy. I wore this black sweater dress with a detachable cowl neck. My daughter wore this DIY dress I made last year. I grabbed it last minute as we were heading out the door and it still fit! Her dress was made from a throw blanket from Target and a faux fur scarf from the women’s section at Target. Every so often I pretend I am a contestant on Project Runway and challenge myself to make clothes from non-fashion fabric. Had we been at home, we would have been matchy matchy in winter white! Did you get yourself anything for Christmas? I got myself a perfume and wrapped it up 🙂 I’m a big believer of self-gifting, since we are women tend to ignore ourselves this time of the year. 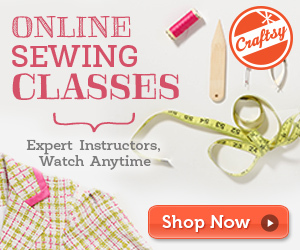 If you have not got yourself a gift yet, check out all these sewing classes under $20. A wonderful self-gift 🙂 I saw this email this morning. 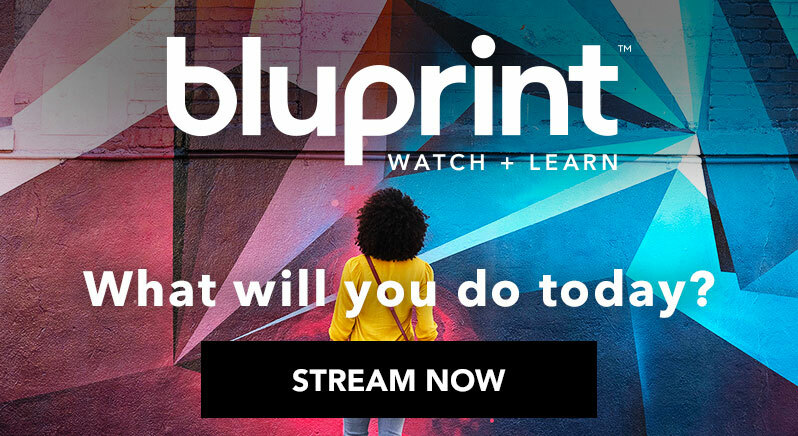 All classes are $19.99 – the gift of learning is the best gift of all! We were able to get a couple pics in before Christmas Eve service…. But the reality is, most pics looked like this 🙂 Haha! I really missed our home church, but we were meant to be in VA this Christmas. Here are some pics of Jazz rocking her dress! Wishing you all a very merry and blessed Christmas!! Hope you have peace, love, food and that you are relaxed. My latest craftsy purchase has been this pattern drafting class for Pants. Since I already have my pants sloper drafted, I plan on making myself a nice pair of pants. Fit is everything baby! See you soon with my next sewing adventure!!! Who Wore it Best? 80’s Prom dress turned Minnie Mouse! categories: Behind The Seams, Mommy and Me, Pattern Making, Tutorials, What I made, Who wore it best? Hope you are having a good week so far! My daughter turned three last month and we celebrated by having her friends over at a bounce house. She requested a pink Minnie Mouse dress for her birthday and I had exactly what I wanted to make in mind. A few weeks before her party, I was out shopping at Estate sales, which is a hobby of mine. I came across this prom dress from the 80’s that screamed shoulder pads and sleeve headings. But I saw the potential. All I could think was Minnie Mouse 🙂 So I did some nip and tuck and gave this dress a makeover. categories: Mommy and Me, Tutorials, What I made, Who wore it best? I hope you are doing well and enjoying the summer. It is HOT here. Sunday was 100 degrees and today felt even hotter. Here is the quickest repurpose I have ever done. This took me a total of 20 mins of sewing time. I had a serious “I have nothing to wear” moment and decided to turn it into a “make it work” moment.. I purchased this dress when I was pregnant with my daughter. I got it from Old navy. It wasn’t exactly a maternity dress but it was big enough to be one. Vanity sizing is always so annoying to me. This was supposed to be an XS “fitted dress”. Yeah right. Chopped off the sleeves and used the remainder of the fabric to create a band at the arm. I like my dresses at elbow length. I wore it out to shopping that night with my darling daughter who also wore this DIY neoprene dress I made for her for easter. Oh! and want to see a bigger version of me? Hehe. Here I am at 40 weeks enjoying ice cream. Oh and a 38 week selfie…gotta love a stretchy knit.. I hope you enjoyed this quick project. I hate wasting clothes that I can still wear. I hope you are doing fashionably well! The month of May is typically a busy month for my family and I. We celebrate Mother’s day, my birthday and wedding anniversary all in the same month. Typically, we take our annual trip around this time.. but honestly, this year it seems like we have just been taking it one day at a time. So given its my birthday month, I figured I would sew up a cute Little black dress. The fabric is a textured double knit. I like that this fabric is sturdy like a ponte knit, but has more than a moderate stretch. I love the way this dress feels on! I’ll be making my daughter a matching skater skirt soon! If you want to make this, see the “Behind The Seams” section at the end of this post. I have included details of pattern, fabric, and how to draft the flounce. This really is a quick and easy project. I made this the same day as the fabric arrived. I had NO intentions of sewing that day, but I had just picked my kid up from preschool and as soon as I saw that box on my porch, my plans changed. For the makeup, I kept is simple yet bold. A red lip and dark eye makeup. That’s it! PATTERN: I used Mccalls M6886, one of the easiest and simplest patterns out there. I cut view C, shortened the sleeves, chopped off the skirt where I wanted to add the flounce. I self drafted the flounce. Drafting a flounce is exactly the same as drafting a peplum. So use my tutorial HERE and instead of using your waist measurement, use the circumference of wherever you chose to insert the flounce. For my daughters second birthday, I decided to make her a dress for our family pictures. It was our 1st time doing family pictures, so I wanted her to have something special to wear. Here is what I came up with. All design details below if you want to make your own version. Gathering tulle can be extremely easy and fun, if you use the right sewing foot! I’ll talk about that more later in the post.. Doing these pics was fun. It was hot and we were kinda cranky in the beginning (try getting a toddler to co-operate), but it became fun as soon as we gave up and let her do her “thang”…. I also made these DY white end of summer jeans I am wearing in these pictures. It’s amazing how much she’s grown in just a few months because she wore this dress again last week and it’s not as long on her anymore! And here she is being a snuggle bug and getting love from her pappa! You don’t have to teach children to stop and smell the roses.. or whatever it is she is smelling here.. hopefully it’s not dog poop. The sleeves are pleated on the sleeve cap, and self faced for a clean finish. I used a serger over all to construct the dress. The gathered tulle is top stitched on to the skirt part of the dress. I am so glad I pleated the sleeves. I only had to cover stitch the neckline because the skirt hem is left raw and the sleeve are self faced/ self lined. This pretty much sums up sums up my lil’ munchkin. She is happy and silly most of the time, is my little BFF and showers me with SO much love. I can’t even imagine a life without her. Sometimes I wish that all people could understand the importance of family and relationships. This below is my world. I feel so blessed to call these two my own and thank the Lord for them every day. I applied a pink exposed zipper on the back. It’s actually an invisible zipper, but I applied it on the outside, mainly because I had the perfect shade on pink and also because I usually don’t plan my projects. I just dive in and usually have to shop my stash…. Initially I wanted to do a “mommy and me ” outfit with a skirt for me like this DIY tulle skirt below and a dress for her, but I changed my mind last-minute and wanted to be more casual, so I wore these DIY jeans instead. It turned out great in the end! I hope you enjoyed reading about this dress and I hope you have a wonderful Thanksgiving. I am beyond thankful for the Lord, my church, my health and my family. Also for wisdom, for it allows me to deal with difficult circumstances with ease. And of course my sewing keeps mt centred. In a world where there is so much up and down, so much unpredictability, I create stability with my sewing. I know that needle and thread are always there waiting for me, and that they will give me great company and soothe me. After all, sewing mends the soul, doesn’t it? Love, peace and blessings to you this Thanksgiving. I’ll see y’all soon with my next sewing project! FABRIC: Ponte knit from Fabric Mart. SEWING: Easy. The bodice and skirt were constructed using a serger. The tulle was gathered using my super easy tutorial HERE or see the video below! The only hemming was done on the neckline. Love this dress to.So effortless, yet so chic. Love the pockets too! I have a bit over two yards of the fabric with thing stripes.. so I am hoping I can get a dress AND a tee or tank top out of it. How cute is this look below? Pattern: I will use a tested and tried pattern Mccalls M668 that I used previously to make THIS dress. Hope you are planning to have a LOVELY weekend. Happy Independence Day!